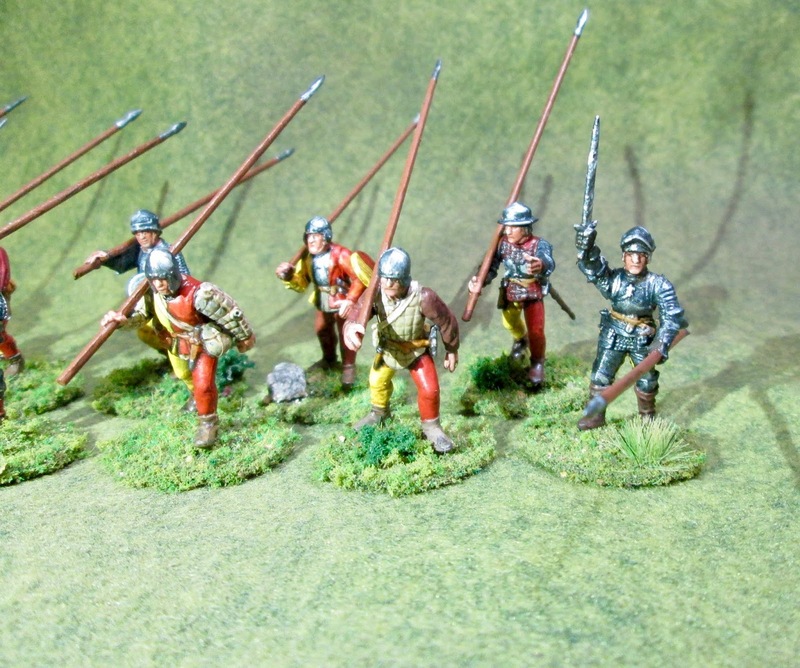 Swiss Pikemen Unit Joins War of the Roses Project. | H.A.W.K.S. 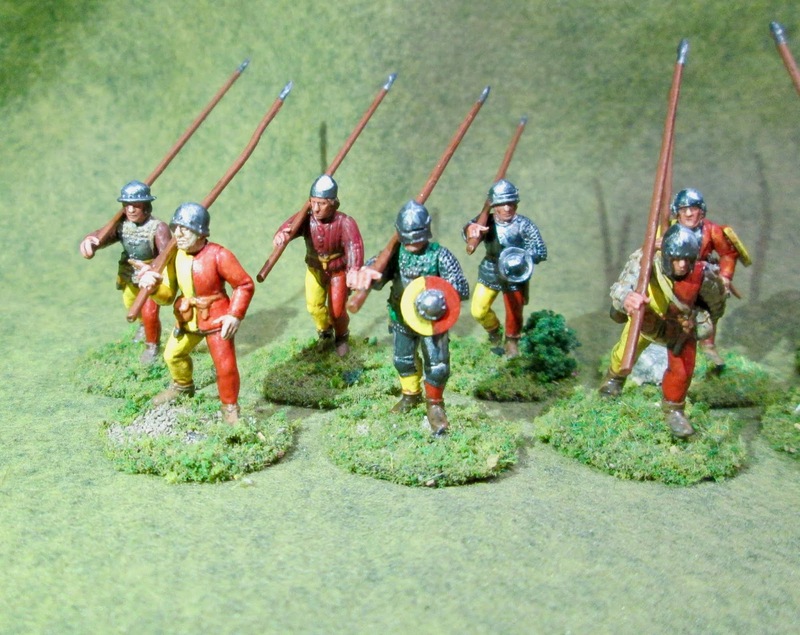 Swiss Pikemen Unit Joins War of the Roses Project. 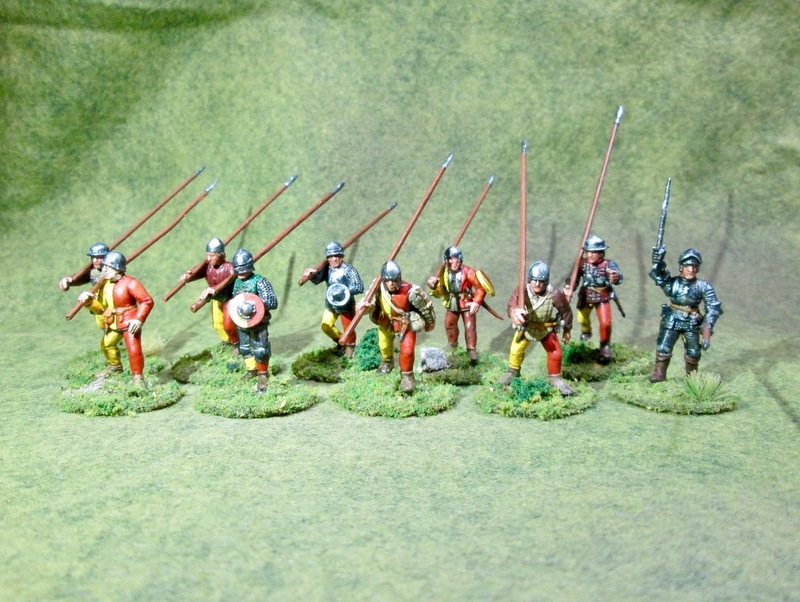 Chris Palmer This past week I completed a 10 man unit of Swiss Pikemen for my growing War of the Roses Project. These are plastic multi-part figures that I assembled and painted from the Perry “Mercenaries, European Infantry 1450-1500” boxed set. As I mentioned before, I am going to be running a 6 player game using the Feudal Patrol rules at Cold Wars in Lancaster PA this March; so I am frantically trying to get all he figures I need assembled and painted. More pressingly though, this coming Friday I am going to be running a first playtest at our club meeting, so I’m trying to get as much finished as I can. I am currently working on a unit of French Crossbowmen from the same boxed set to also join the ranks of my armies. I hope to have them done in time for my game on Friday! NIce work Chris, good looking stuff. Wish I could drive down for the playtest! Thanks, Mark! Well, hop in the car Friday and come on down! 🙂 Are you coming down for Cold Wars? Doubtful as I am starting a new job next week? Sorry to hear it, Mark. But congrats on the new job! Could be your last hurrah!